1. Go find your comfiest, softest blanket. 3. Get your bum on a comfy chair or sofa. 4. Brace yourself for another interview with another lovely blogger!We’ve got the wonderful Christina Lynch from Maine, USA on the blog today! You may know Christina from the lifestyle blog Navigation To Happiness. Christina is such a lovely person, always supporting others on Twitter – i’m so happy I could have her on this series of Let’s have a chat! Also it’s great to have bloggers from other nationalities too! First things first, how would you describe your blog? I would describe my blog as lifestyle. I like to be able to post about my life; not matter what the topic is. My most common types of posts have to do with living with anxiety, personal growth and parenting. So, how long have you been blogging for? I’ve been blogging for about two or so years now. However I recently started over so I could be on a platform that was a better fit. It has been a couple of months for this particular journey. Full time or spare time blogger? I would say that I’m a full-time blogger. I used to just post, share and call it a day but now there’s a lot more work to do with it. I have to create my title pictures; get my name out there; connect with others, and when I get my hands on my camera, I’ll be incorporating pictures as well. Being a blogger isn’t as easy as people make it appear. I know I’m not making money with it, but it’s still full-time! I believe you’re our first full-time blogger on this series! What was your main reason for starting your blog then? I started a blog to give me a safe place to talk about how I was feeling or the thoughts I was having. I also wanted to document my life and use it as a tool to see my growth. Blogging is perfect for doing just that! Do you have a blogging schedule or do you write what you fancy at the time? Totally agree! 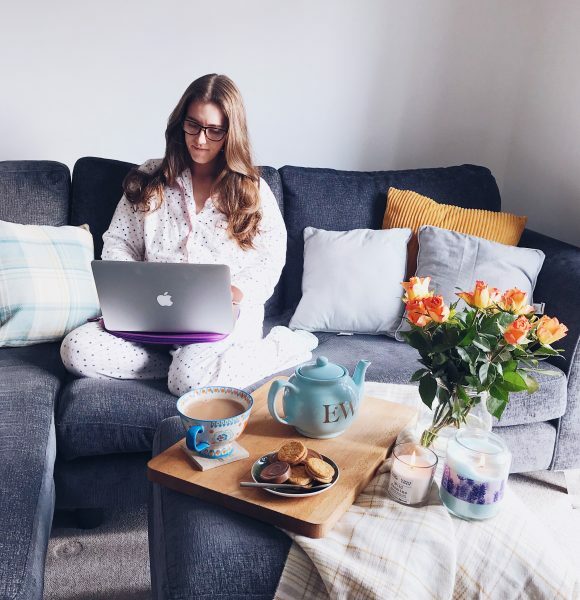 Are you a sofa blogger or do you prefer to sit in an office? I do most of my blogging on my desk in my bedroom, as it’s one of my fave rooms in my apartment that actually has a window. I only have two windows in my whole apartment! Wow! I can see why you’d gravitate towards the light! Describe your ideal place to blog. I would love to blog outside in the sun as the warmth and sounds of summertime are really comforting to me. I used to sit outside on a lawn chair back at my parent’s house, long before the blogging days; I would write there as it was peaceful. Sunlight and warmth is always needed! I can’t wait for summer actually! What’s your blogging daily routine? How do you manage your time? After I take a minute to myself, and curse for not liking coffee, I will snag my laptop and check to see what I’d planned for the day. I do my plans for the week on Sunday. I’ll open up my browser and first go to my graphic maker. I use Fotojet and depending how fancy I get with it, It takes me about five to ten minutes. I’ll then open up WordPress and start creating my post. I’m trying to get into a rift with proofreading my posts before clicking publish. Once it’s published, I’ll share it on social media. After this is done, I usually work on finding other bloggers to interact with and show my support since I wish people did that for me.As for managing my time, I just set time aside for my blog. My husband works in the afternoon, so I usually have time aside for me to work on my post. If I end up getting agitated with my post, I’ll take a break but always come back to it. Thanks for the detailed answer! There certainly is a lot that goes into blog work! We’ve been chatting for a while now… do you want a cup of coffee (perhaps not! ), a brew or something herbal? Actually neither. I’m not a fan of hot beverages and I really wish I was! I never really cared for iced tea either… something about the flavour never really interested me. Why am I so weird?! Haha, don’t worry; I’m weird too! So let’s talk about future plans. Where do you see your blog in the next few years? I’m hoping it will build a community of people who care how I’m feeling or what I’m talking about. I grew up with the mindset that nobody cared about me or what my thoughts were. I want to continue this journey of blogging because it has brought happiness into my life and helped with self-discovery. I would love to inspire others to be confident with the person they are. Plus, it would be nice to be able to help financially support my family doing something that I love to do. We all care about you Christina, don’t you worry about that. If you could develop your blog in anyway, what would you do? Hm, I’m really not sure on this one as it has never crossed my mind before. I would probably produce some merchandise to help others seek who they were meant to be and remind them that happiness is possible. Whether that’s stationary, jewellery or a journal. Sounds like a lovely idea. Where do you find inspo to write a blog post? A majority of my post ideas come to my mind randomly and I jot them down in my blogging notebook. Occasionally, I get ideas from social media or other bloggers in the community. Social media is such a good place for ideas, I agree! Do you always find it easy to come up with ideas? For the most part, yes! A lot of my day is spent with random post ideas; what’s difficult is remembering them all when I get to write them down. When I first started blogging, it was really hard and I would be staring at a blank page for a long time. Eventually I’d start planning my posts ahead of time, so I could just sit and blog; it has definitely helped make the process smooth. Any advice for those who find it difficult to get inspiration? Take some time to sit with your thoughts and jot down a list of topics you’d like to cover. You can always look back on this list if you’re having writer’s block and need some ideas. Great advice.Jotting ideas down as soon as you think of them worth it. So how do you interact with other bloggers? I like to reach out to other bloggers which has been hard with my anxiety. I definitely prefer to use Twitter to meet others but Instagram has some awesome people too. I just find it easier to get to the posts on Twitter. I like to read and give them some love (liking and commenting). I like the thought of making someone feel good about their blog. Yes, it has definitely helped grow my blog since making friends with other bloggers. It’s great than you take the time to show the love to others! Have you ever collaborated with another blogger? How would approach another person to collaborate? Well, here I am! I have been recently approached to do some guest posts and I’m always open to helping and working together. If I see another blogger looking for people who match the person I am, then i’ll offer my support. I haven’t actually asked someone if they are interested collaborating, to tell you the truth. I’m still learning how to do this. I would love to collaborate with other bloggers and i’m always open to learning more about it. That’s a good way to think. Do you have a blogging idol? I don’t have a particular blogging idol but almost everyone in this community are supportive and inspiring that I idolise them all. I have learnt a lot while blogging and connecting these past two months. That’s so lovely! Do you think it’s better to blog about everything and anything or to focus on a niche? I personally like blogging about many things and prefer reading those who do the same but I can understand why people have a niche! I would just get bored easily doing it myself since I have a wide variety of things I enjoy talking about. Let’s talk about money now. What do you think is the biggest cost in blogging? Setting it up, probably. I’m scared to buy a domain and create my own place because there’s so much to getting it ready for your audience. Not only do you have to buy your site but purchase add-ons, themes, hosting, logos and so forth. Plus, if you want to take decent pictures then cameras can be pricey too! Tell me about it! So, have you attended any blogging events? I haven’t but I’d love to someday! I didn’t really know these existed until recently but I’d love to do some more research and participate. My state is hardly included in events so I’d have to travel to them. I would imagine there’s quite a few around the US; you’d just need to dig them out. Do you feel it’s difficult to be in know about events? Yes, I find it difficult because I never knew about them before and I’ve been blogging for a bit. To be fair, I’m still new at the socialising and researching aspect of being a blogger. They’re worth looking more into when you feel comfortable! Do you feel that there should be more acknowledgement and promotion of bloggers in the press? Probably! There’s much hatred for content creators but I find it important to start understanding that since the internet is popular, so are careers that involve it. I find it important to acknowledge and give praise where it belongs. Bloggers work hard and should be ‘awarded’ for their work and time and not criticised every single day. I see horror stories all the time that some company didn’t follow through their part of the deal. There are so many of those stories, you’re right unfortunately. Blogs are used a lot these days to talk about issues such as mental health. If you could use your blog as a platform to talk about something perhaps taboo, what would you talk about and why? I’m actually one of those bloggers who regularly talk about mental health! 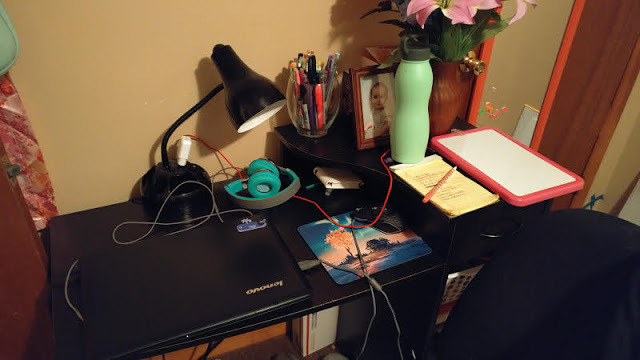 I live with anxiety and want to document how my life is. I never really talk about other disorders but that’s because I cannot speak from experience like I do with anxiety. It’s important to talk about these ‘taboo’ topics. So, i’ll still talk about mental health because I want to stop being embarrassed for having anxiety – end the stigma! You go girl! Any tips for a novice blogger starting out? One of my biggest tips for a blogger is to be yourself and try your best not to compare. Readers can often tell if you’re not being yourself or if you’re not passionate about what you’re writing about. Also, don’t compare your progress to others because we’re all in this together, and getting caught up in stats and followers will drive you crazy! Be patient and have fun because this experience is amazing. Thank you so much Christina for such an open and honest interview! I also asked Christina if she’d give us some tips for travelling in her home state of Maine. If you love US travel, read on! 1. 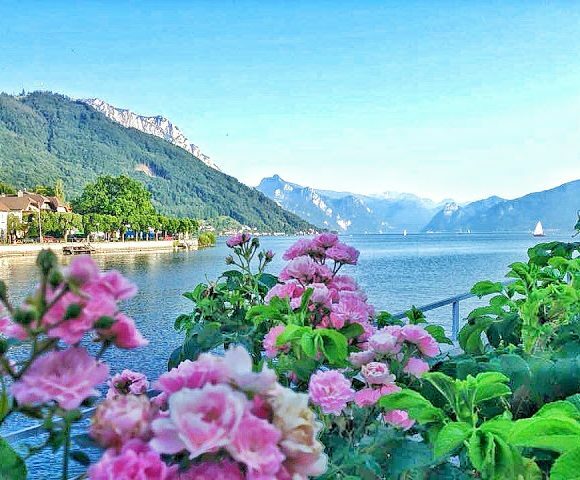 Check out Lake Region. I was born and raised in Bridgton (Maine) and there’s so much to do in the area, from swimming in the summer to ice-fishing in the winter. Not to mention, the many shops and restaurants available. It’s beautiful and a tourist area but well worth it! 2. Visit a lighthouse. Maine has 65 different lighthouses. My favourite lighthouse is Spring Point Ledge Light and is located in South Portland. It’s a bit of a walk out there (a lot of rock jumping) but well worth it when you get there. 3. Go to Funtown/Splashtown USA (Saco, ME). If you like amusements and water parks, then check this one out. There are a decent amount of different theme parks but Funtown/Splashtown has a good variety of slides and rides for people of all ages. I went there a few times growing up and actually went for our honeymoon as well! 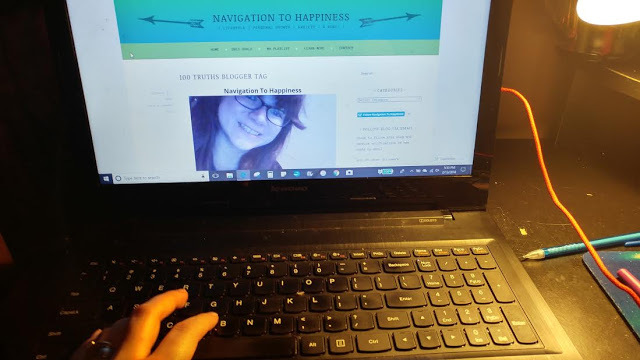 You can follow Christina on Twitter @navig8happiness and her blog Navigation to Happiness – go show her some BIG LOVE! Next week you’ll hear from a lovely lifestyle/beauty blogger who will also be sharing her top 3 places to visit in Wiltshire! Subscribe so you don’t miss out! 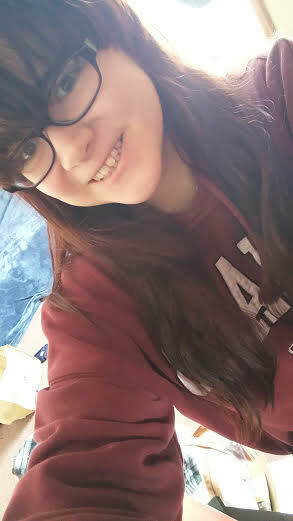 Hey, I'm Jess. Thanks so much for visiting my cosy space! 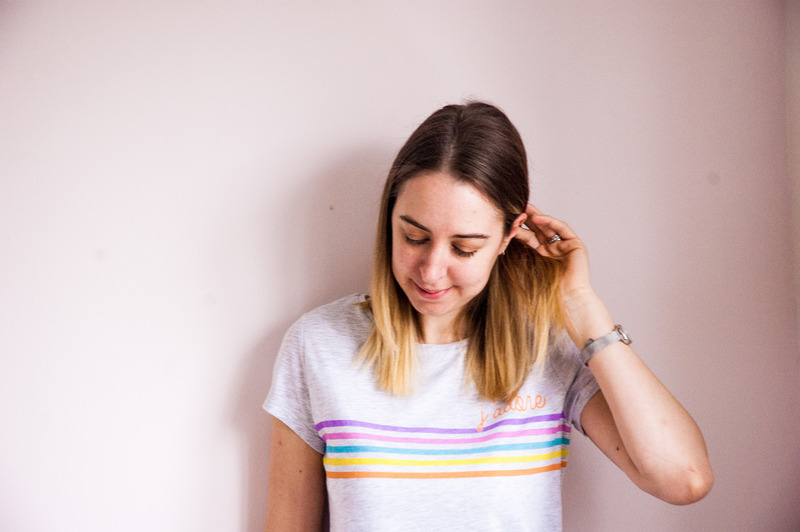 I hope you find what you're looking for, whether that's the latest book reviews; fashion and homeware inspiration or features on topics important to me, such as sustainability and mental health. I like to chat, so leave a friendly comment and share the love. Looking for something? Seach here.